Get Ready To Rock With The Mavericks! My prayers have been answered – The Mavericks are coming to the Lowell Summer Music Series for the first time! They will appear on the Boarding House Park stage on Friday, August 30th! This will be the best dance party you have ever attended, so make sure you are wearing your dancing shoes! 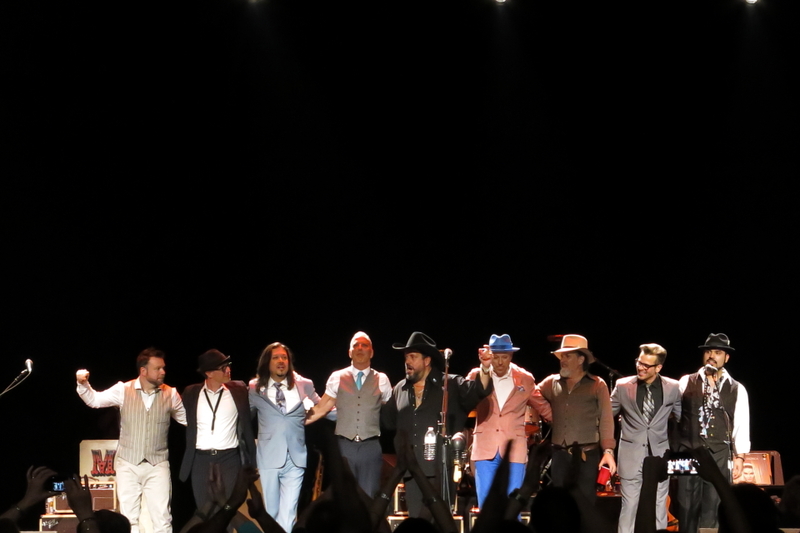 I cannot mince words – I believe The Mavericks is one of the best bands touring and releasing new music today, so I was thrilled to see them at Parker Playhouse last night. As always, I was not disappointed! Their combination of country, Latin, and rockabilly styles is unique and I (as well as many others) simply MUST dance at their live shows. The Mavericks Never Bring Me Down! Despite the title of one of The Mavericks better-known songs (“All You Ever Do is Bring Me Down”), this band always delivers a fantastic show that keeps me smiling for days after the show! This show at the South Shore Music Circus was no different, with one caveat which I mention at the end of this review. The Mavericks Cured Snow Fatigue! 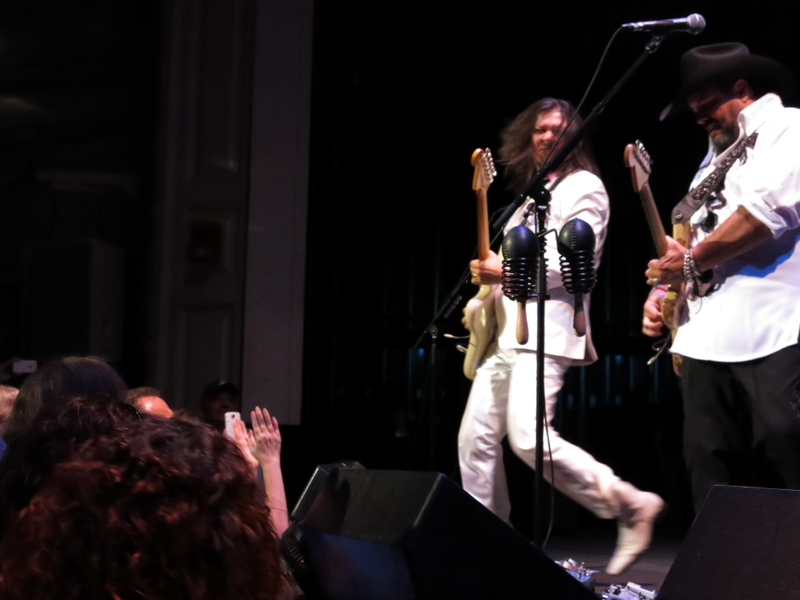 The Mavericks cured whatever ailed the audience at The Wilbur Theatre last week! 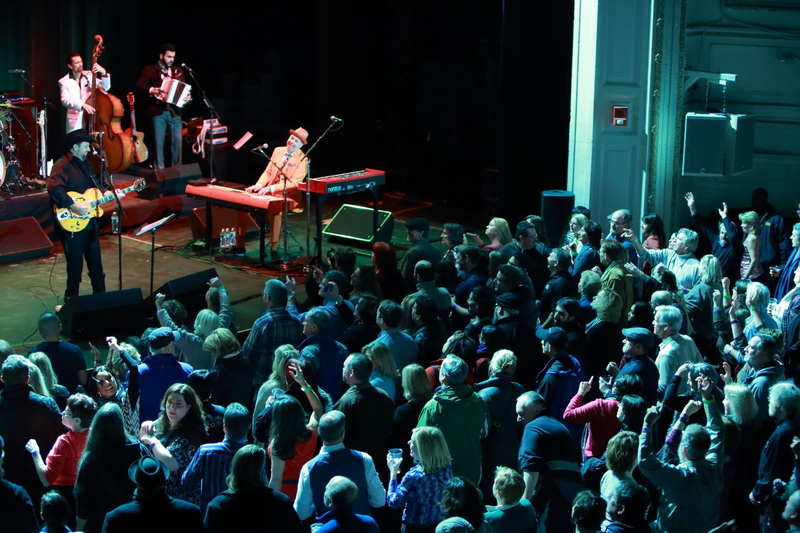 Most of you know how the Boston area is suffering this winter; seeing live music is helping to keep me – and many others – sane and The Mavericks helped immeasurably! Those of you who have been reading my posts regularly know how much I love this band; I have seen them ‘only’ four times and I think this was the best of them! The Mavericks were on fire Thursday night! 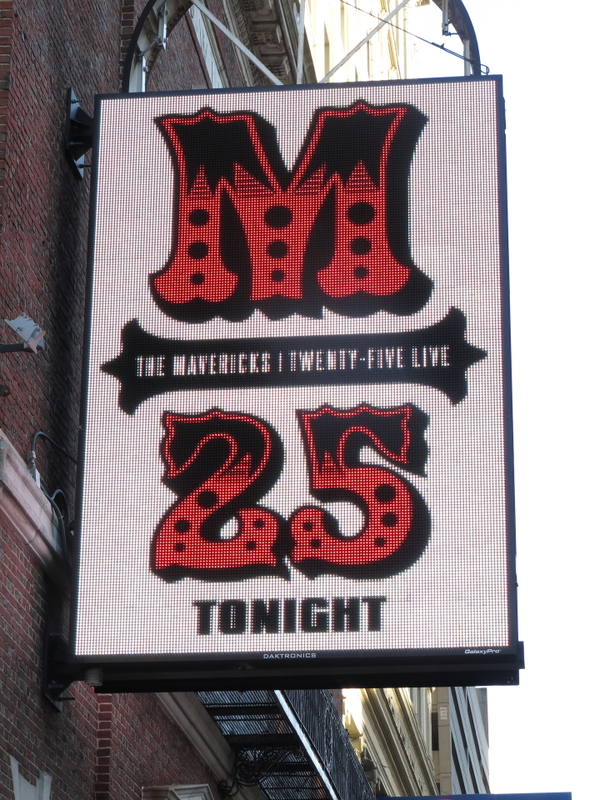 Yes, I saw The Mavericks two nights in a row – they are that good! Sunday night’s show was at The Wilbur which afforded me a different experience than the previous evening did. The floor was general admission standing, so I decided to stand at the stage rather than sit in the front row of the mezzanine. I am so glad I did. The Mavericks Hosted A Dance Party! The Mavericks were one of my top ten concerts of 2013 and I could not wait to see them again, now that I know their music much better.